A lot of people ask for testimonials. If we follow up with our customers enough, we naturally receive testimonials. However, these testimonials have no power. Limp testimonials are a fact of life because clients don’t always know how to give testimonials and we often don’t have a clue about how to ask for testimonials. Here are a few key questions you can use when asking for testimonials. You can tailor this question for your specific product or service, but don’t stray too much away from asking about objections and obstacles; it’s critical to learn about objections and the reasons why this customer (and others) may have been hesitating to buy. Let’s discuss each of these six questions. 1. What was the obstacle that would have prevented you from purchasing? We ask this question because no matter how ready the customer is to buy, there’s always a hitch. The hitch could be money, time, availability, or relevance — or a whole bunch of issues. When you ask this question, it brings out those issues. And it does something more. When the client reaches into his memory to see what could have been the deal-breaker, it gives you insight into issues you may not have considered. There’s always an obstacle, and it’s often something you may not have thought of. So when the customer brings up this obstacle, it presents an angle that’s unique, personal, and dramatic. 2. What did you find as a result of buying this product? This question is important because it defuses that obstacle. When a client answers this question, he talks about why the purchase was worth it, despite the obvious obstacles. 3. What feature did you like most? If you ask the customer to focus on the entire product, his response may be vague. That’s why you want to focus on a single feature or benefit that the customer liked most. This method brings out that one feature in explicit richness and detail. 4. What are three other benefits of this product? Since you already got information about one important feature, you can now go a little wider and see what else the customer found useful. You can substitute the number “three” with “two” or even remove the number completely. But the number does make it easier for your customer to address the question. It lets her focus on a limited number of factors and give you the ones that were most useful to her. 5. Would you recommend this product? If so, then why? You may not think this is an important question, but psychologically it’s very important. When a customer recommends something, there’s more than your product at stake. The customer’s integrity is at stake too. At this point, the customer has often said everything she has to say. But there’s never any harm in asking this question. The questions before this one tend to “warm up” the customer, and sometimes you get the most amazing parting statements that you never could have imagined. This detailed method of constructing testimonials brings us to a very interesting observation: the testimonial is the answer to the objection. That “obstacle” the customer talks about is really their biggest objection. So, what does this tell us about how we should plan our testimonials? Let’s say you’re selling a trip to see the wildlife on the Galápagos Islands. Obviously, the trip is appealing to travelers seeking a wildlife adventure, but even thrill-seekers have their objections. It’s too far to travel. There are no comfortable accommodations. What are the testimonials going to say? I thought it was too expensive, but (here’s what I found). I thought it was too far to travel, but (here’s what I found). I thought we’d have to rough it, but (here’s what I found). 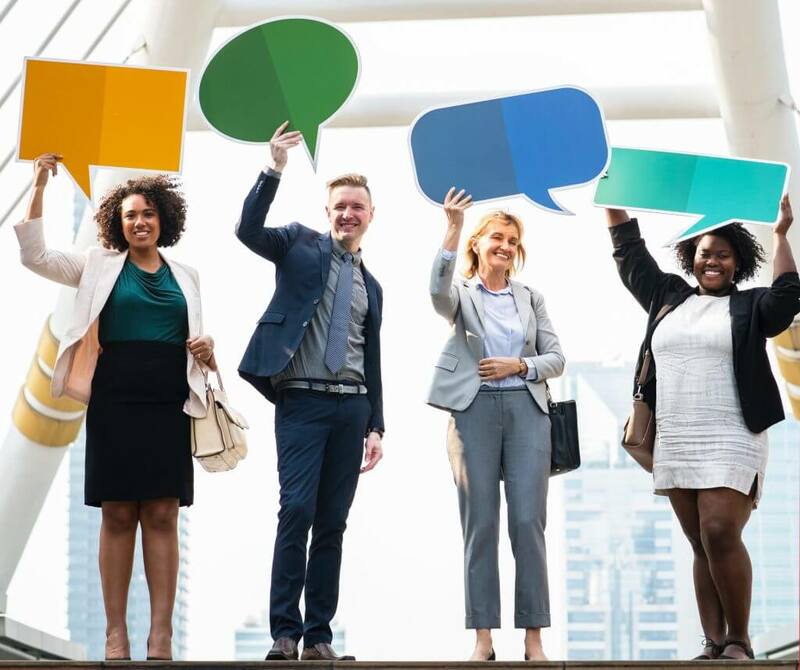 Even if you have already addressed objections earlier in your sales copy, prospects get a third-party perspective when current customers also defuse objections in testimonials. A third party is always far more believable to your prospective customers. And because each testimonial is specifically linked to an objection, it systematically reduces the risk. How do you control the angle of the testimonial? You may want the customer to talk about expense, distance, or comfort. But the customer may want to talk about her fear of seasickness or dangerous animals. So, how do you control the angle? You’re in the business of helping construct the testimonial. You ask questions that give the testimonial structure; you don’t need to control the process. But that doesn’t mean you can’t influence responses. Here’s how you attempt to get the angle you desire. Reach out to the customer. Ask him if expense, distance, or comfort was one of his big objections. If he says yes, follow up to find out the specifics of why expense, distance, or comfort was an issue. But if he disagrees, and mentions a completely different issue, keep following that customer’s train of thought. That feedback reveals an objection you hadn’t considered, and it may be a valid objection that hasn’t come to your attention yet. However, you may decide that the stray objection isn’t worth pursuing and you can’t use the objection and corresponding testimonial. No problem. If you decide you can’t use the testimonial, you can always reach out to other clients to get the angle you’re looking for. With this process, you’re going to get the exact objections and exact testimonials that help defuse key objections. Which means that the testimonial is going to do some real grunt work to overcome objections. Testimonials are so powerful because they’re delivered from a third-party perspective rather than the point of view of the seller. When a customer produces a testimonial that is rich in detail and emotion, the testimonial becomes complex but also believable. And that’s the main job of the testimonial. ← Top 4 Wineries in Soflo!